Diamond CSL 42-2YII is upgraded with MITSUBISHI 730 controller which possessed control axis superimposition function. It offers up to 10 axes complex manufacturing capability and it can simultaneously to process at 3 channels. Main and Sub-Spindle are up to 42mm with 12 station power turret. 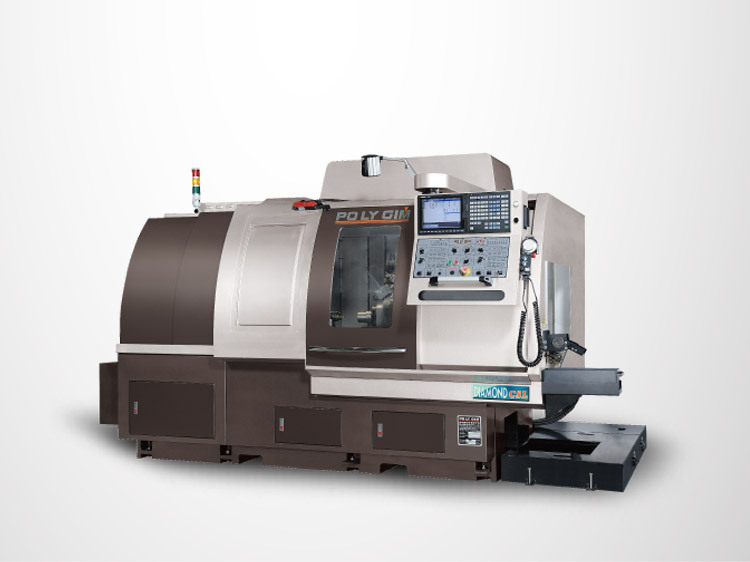 Both built-in spindle are with MP Scale’s CS axis construction. This helps to obtain higher spindle rotation accuracy and better surface finish during cutting operation. Back Working Driven Tool Speed 200~6000 r.p.m. Power-driven Tool Speed 200~6000 r.p.m. Coolant Pump 1.5 H.P. 1.5 H.P.